Gene Zahas is President of Johnstone Supply, a distributor of heating and air conditioning equipment with four locations in the Bay Area. 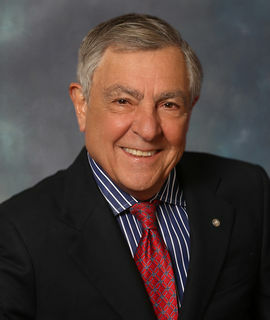 He has been a member of Oakland Rotary since 1971 and served as president in 1998-1999. He has served on many non-profit and civic boards, including the City of Oakland Budget Advisory Committee, Salvation Army Metropolitan Advisory Board and Marcus Foster Education Fund Board. Gene has served as chair, co-chair or treasurer of seven ballot measures benefitting the Oakland Unified School District. Gene was born, lives and works in Oakland.